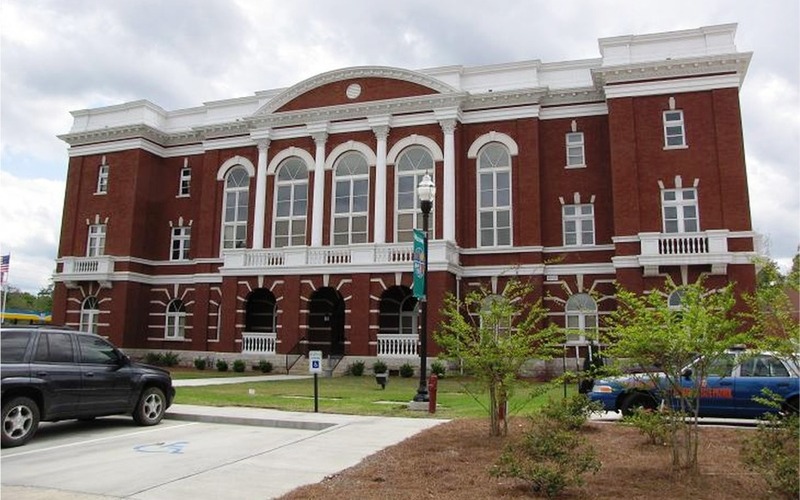 The Tattnall County Courthouse, built in Reidsville in 1902, was most recently renovated in 1991. Designed with a Second Empire influence, the courthouse is the county's third. When created in 1801, Tattnall County had no towns, so the legislature provided that county business be conducted at the home of Zacharia Cox, whose home was located on the western boundary of the new county. In 1807 or 1808 a log cabin in which to conduct the county's business was built near Drake's Ferry. In 1828, the General Assembly appointed a committee to select a central site in the county for location of a courthouse. and the county purchased land near the center of the county and built a new courthouse there. In 1832, when the county's first post office was established at the location, the name Reidsville was chosen. The third building used as a courthouse was built in 1857. 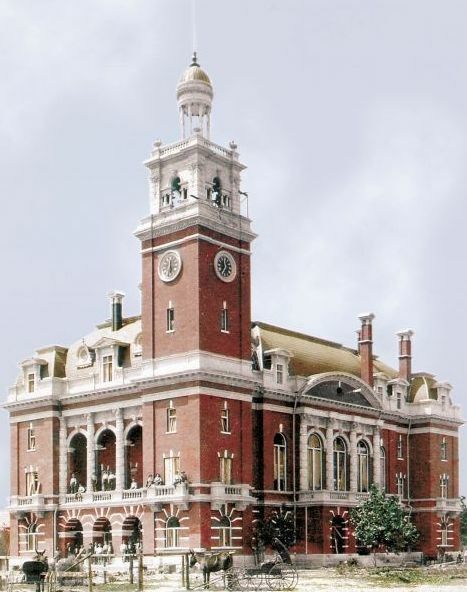 The current courthouse was built in 1902 in the Second Empire architectural style and designed by J.W. Golucke. It was remodeled in 1915 and again in the 1960s, at which time the tower and mansard roof were removed. The courthouse was renovated again in 1991.